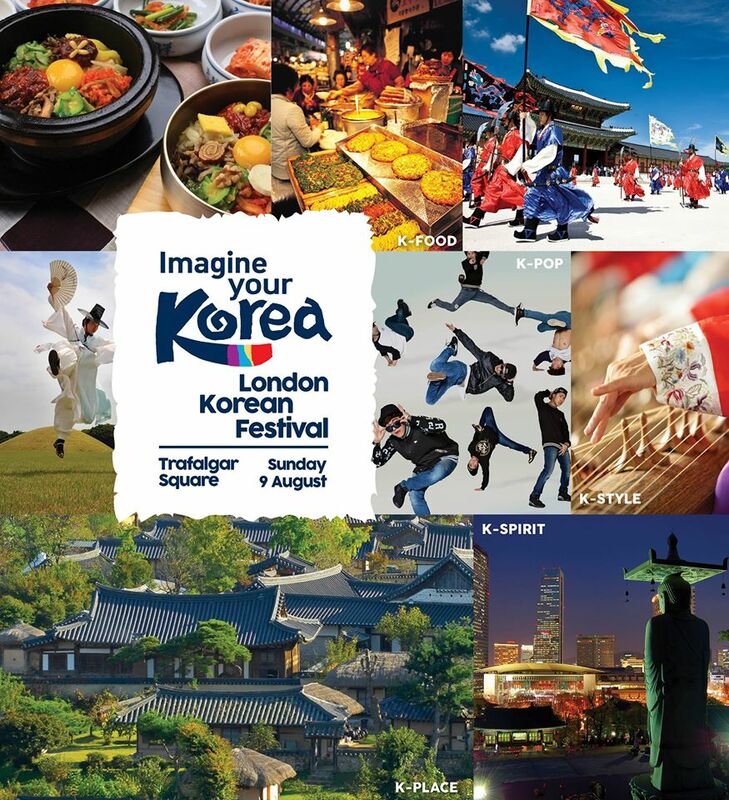 Imagine Your Korea invites visitors to come to the London Korean Festival will be held at Trafalgar Square on 9 August (Sunday, 12 pm – 8.30 pm). It is a free one day event where everyone can join in to experience the Korean culture. The event is organized by he Korean Cultural Centre UK, Korea Tourism Organisation, Korea Creative Content Agency and supported by the Mayor of London. It has a mix of traditional and modern elements in food, music, dance, fashion and many more. Check out the main performances and visit the interactive zones at the event. During and before the event, keep an eye out for the flashmob where they will encourage to join in the fun and dance. They will also be hitting the streets of London on the special themed bus. So, set that date on your schedule and experience Korean culture for one day only at Trafalgar Square, London. Follow up for more updates at their Facebook event page.